Grant's Farm is one of the greatest treasures we have in the St Louis area. 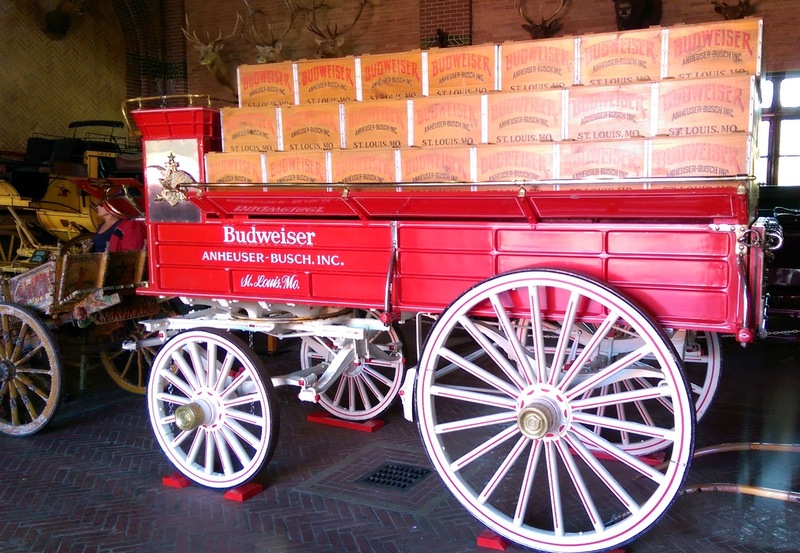 Once the property of President Ulysses S Grant, it is now owned by the Busch family, of Anheuser Busch fame. Admission is FREE and even includes two free beers for visitors over 21! Above is Grant's house, Hardscrabble, the last remaining structure in the US that was hand-built by a US President. Across from the house, bordering Gravois Road, is a fence built from 2,563 rifle barrels as a Civil War Memorial. 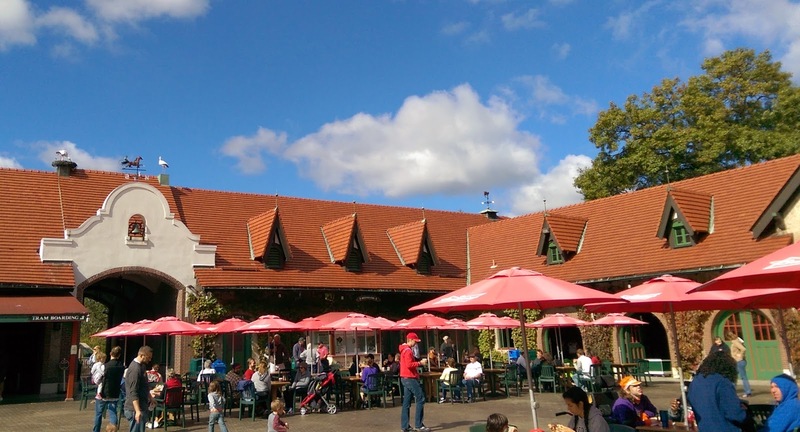 It is located in the Deer Park, which is toured by tram as you make your way from the front entrance to the Tier Garten and Bauernhof areas of the park. 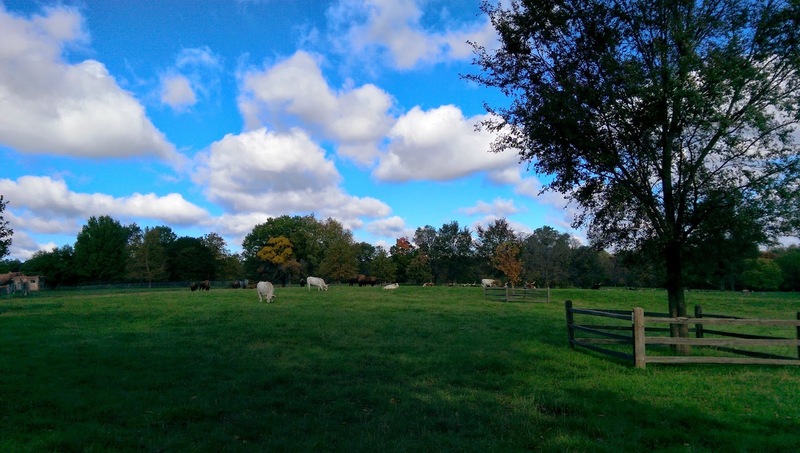 The Deer Park has all kinds of animals besides deer, including wild mustangs, zebra, and Galloway (aka Oreo Cookie) cows. There are about 1,000 animals across 100 species living at Grant's Farm! 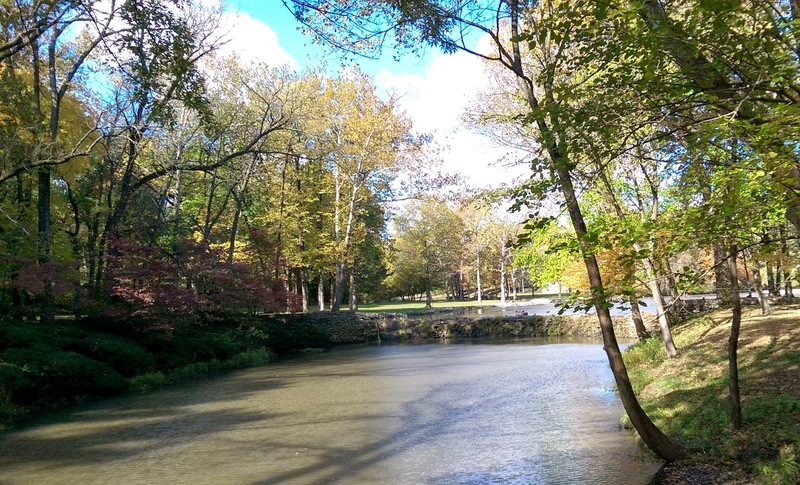 There were not a lot of animals visible in the Deer Park on my last visit, but it was just SUCH a gorgeous day that I have to share the scenery. 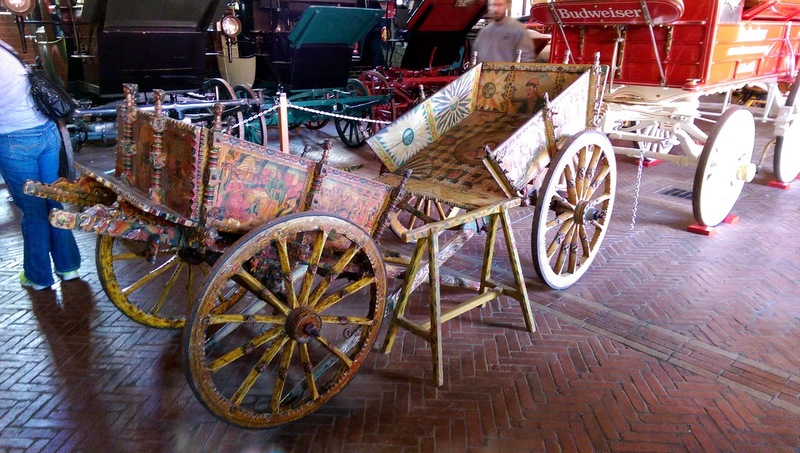 The vehicle below is for Private Expeditions, which tour the Deer Park, Grant's Cabin, and Clydesdale Stables, have special animal feeding encounters, and include beverages and parking passes. Click Here for more information! 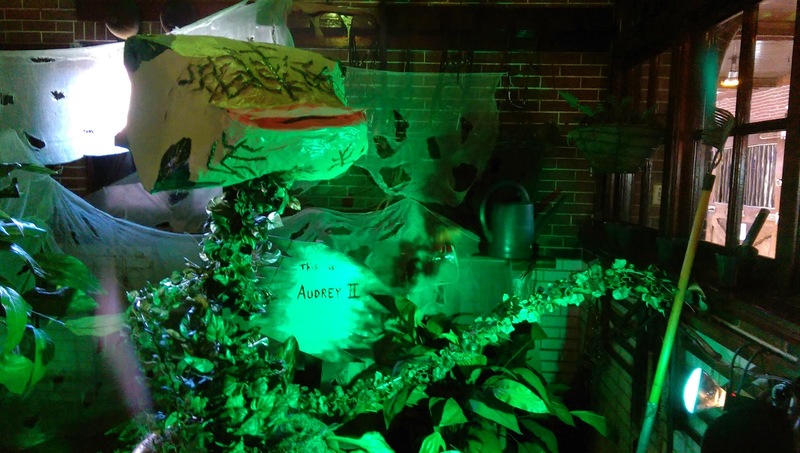 The Tier Garten area includes many different kinds of animals and interactive experiences. 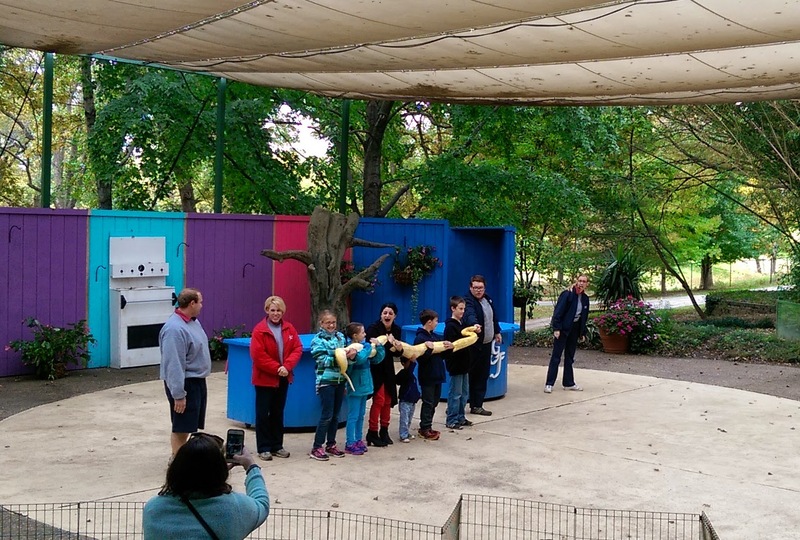 The Animal Encounters show includes audience participation, and my favorite was this this snake. Check out the adult lady's (middle) expression, and the little man next to her doing his part to hold up the snake. This is Deanna, not me. 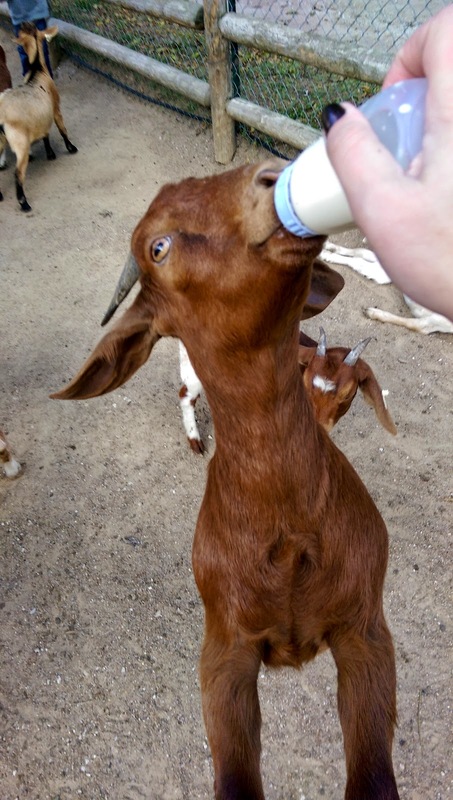 This may seem absurd, but feeding the goats at Grants Farm is like a St Louis sport. You absolutely cannot go there without dropping a couple dollars on some milk bottles and risking your clothing and personal items in the goat pen. They used to even sell tshirts at the General Store that said, "I Survived Feeding the Goats." So bummed they no longer sell these in adult sizes. No big deal, right? How about some more action cam (this is from 2010). 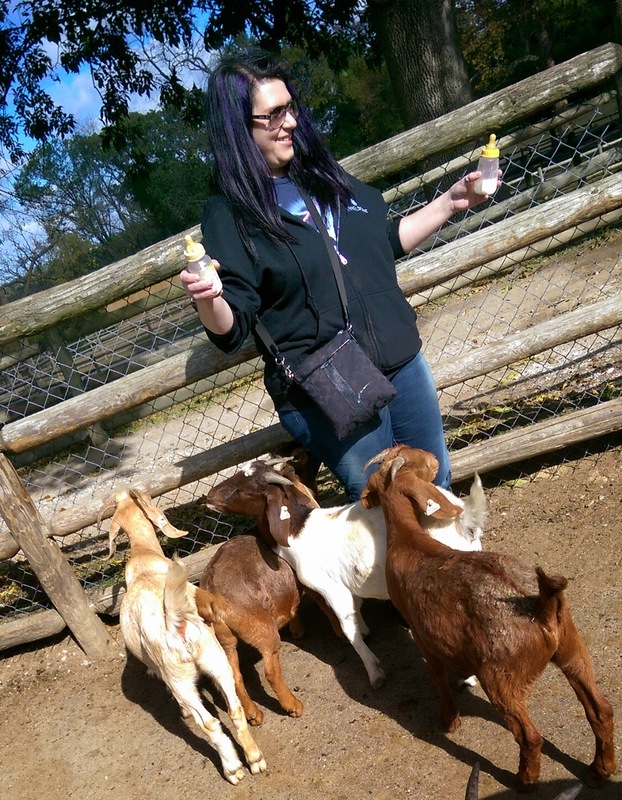 You'll notice one goat is climbing my leg and I mention one behind me who is chewing on my jeans. Everyone who grew up in St Louis either has a traumatic or funny story about feeding the goats. For example, I remember my cousin getting all the bows chewed off her dress when we were kids. Good times! The last stop on our tour is the Bauernhof. This is the complex of buildings surrounding the courtyard, where you will find the food, hospitality (beer), and carriage collection. People confuse the Bauernhof with the Tier Garten (where the animals are), probably because it sounds so much like Beer Garden. Bauernhof is German for "farmstead" and this was the first building built on the estate. 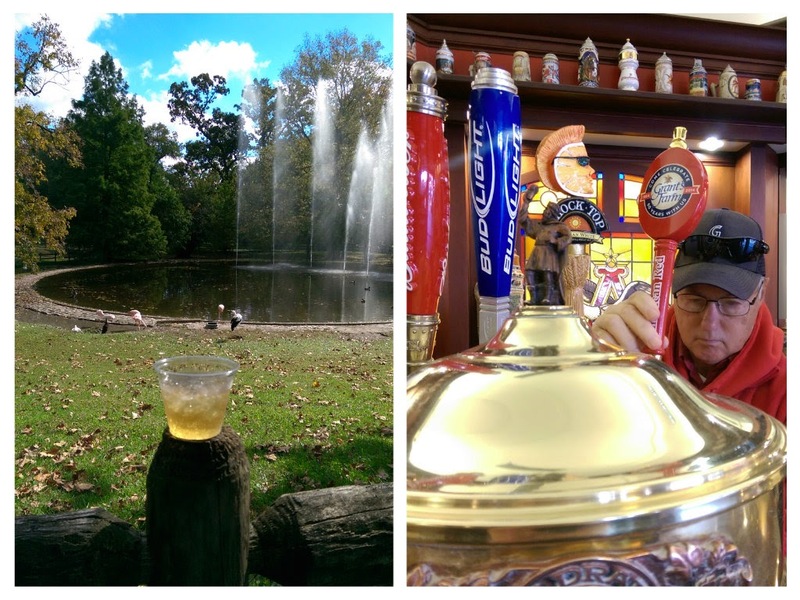 Most people probably think of Grants Farm as a place to take the kids, but think about this: You can literally walk in for free AND get free beer. It's an excellent spot to just chill with friends on a nice day. Hospitality! The best part of being an adult at Grant's Farm. On this outing, there were several seasonal options available. I tried Johnny Appleseed cider and was particularly excited about Red, a brew crafted specially for Grant's Farm's 60th Anniversary. Three of my favorite things in life are beer, limited edition anything, and tourist attractions. 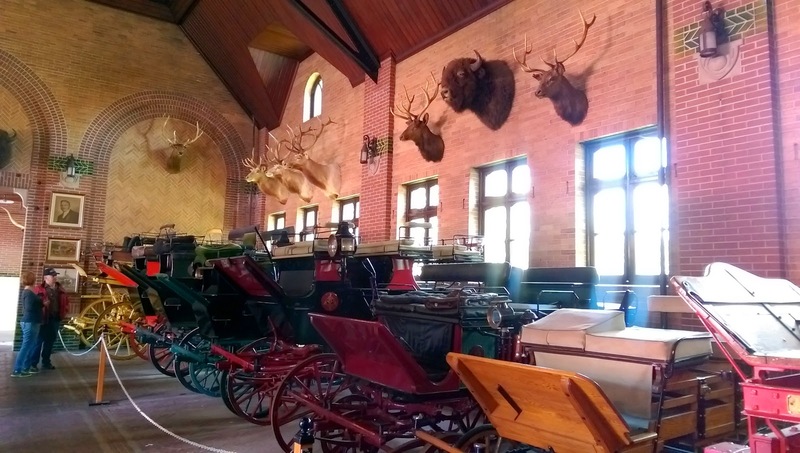 Inside the Bauernhof is the Busch family's world-renowned carriage collection, along with a ton of hunting trophies. 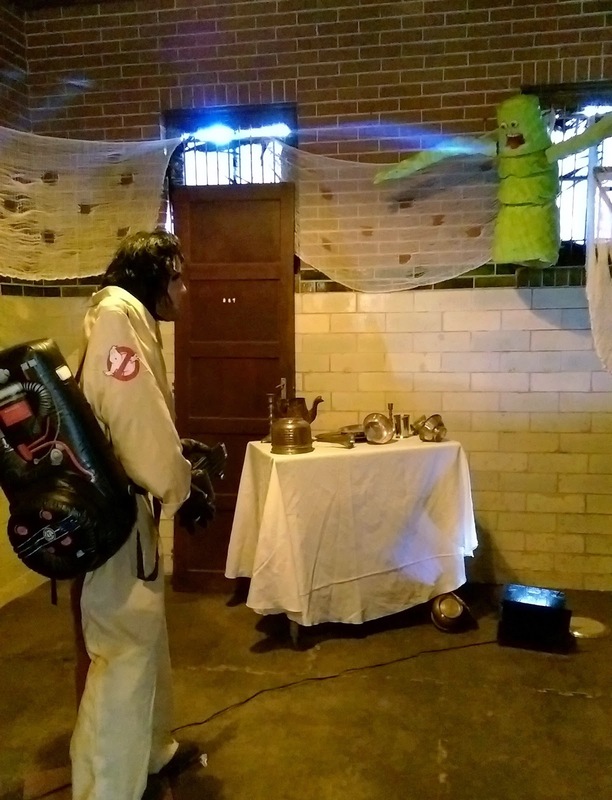 On our most recent visit, a lot of the riding trophy areas, and some of the horse stables, were set up for Halloween with dioramas from movies. 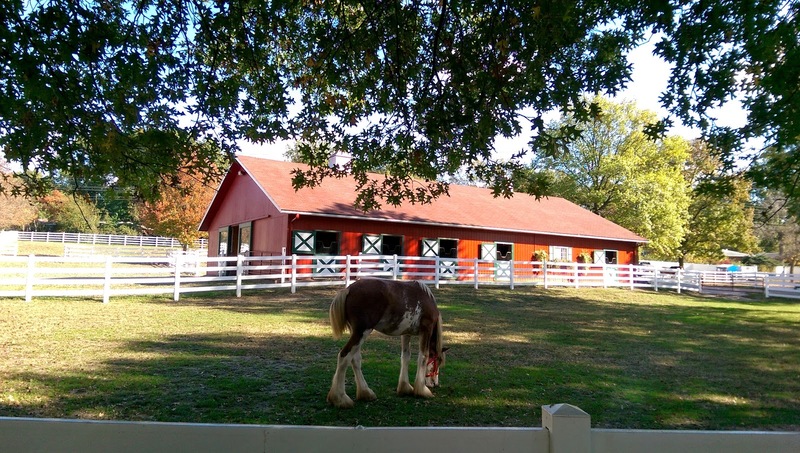 On the other end of the parking lot is the Clydesdale Stables, and new additions include getting a souvenir photo with a Clydesdale, and the new (last year) Clydesdale Tours, which are a behind the scenes look at what it takes to raise Budweiser's world-renowned Clydesdale horses. Next year I am hoping to do this tour, as well as the tour of Warm Springs Ranch in Boonville, MO! 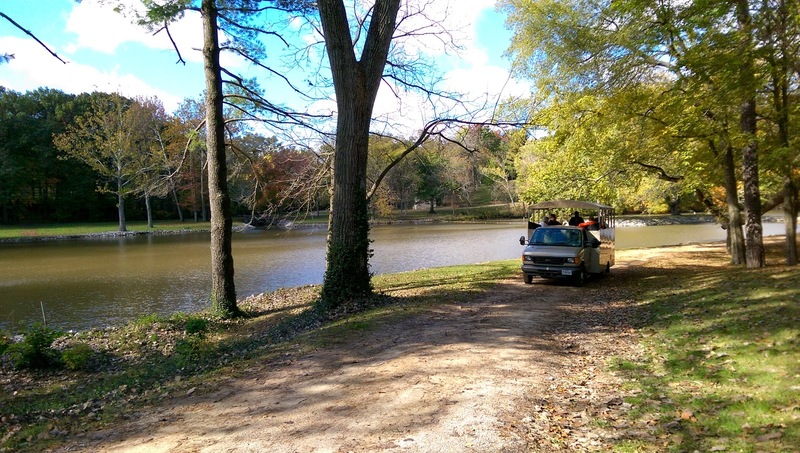 If you cannot make it this weekend, Grant's Farm will reopen mid-April 2015. Follow me on Facebook and I'll let you know if they are doing the Holiday Light display this year! Ooo! I thought Grant's Farm just had animals - didn't know about the free beer and carriage collection! Guess we'll check that out sometime - thanks C&G! Nice Post....we really need to get there soon.